I have become increasingly disturbed by the current trend towards mediocrity on television. We the so-called public seem to derive more pleasure from the bland and incompetent than from the talented. The only dancing programme on terrestrial television is Strictly Come Dancing, a competition where John Sergeant is saved weekly by the public vote, thanks to the sheer novelty of seeing him dance badly. Each week he tries admirably, but he simply has no innate dancing ability. He appears as either Tweedledum or Tweedledee in a dinner jacket, galumphing gracelessly around the floor, his feet landing clumsily in something vaguely resembling rhythm while his professional partner desperately tries to divert attention away from him by flashing her legs from beneath a glittery pink dress. The judges practically pulsate with fury, urgently persuading the public to stop supporting this awkward goon at the expense of contestants who can actually dance. No such luck! Clearly their fun little strategy of including a few token “no-hopers” has backfired. This is the ninth week John Sergeant has been saved by the public vote, while the elegant and surprisingly adept Cherie Lunghi was voted off. This is precisely the kind of ill-considered voting that made Boris Johnson the Mayor of London. Well, perhaps not quite that irresponsible. But still, a new demographic must be considered — the “yeah, that’ll be a laugh” vote. Meanwhile the only music show on prime time terrestrial television is The X Factor, a sickening (and sickeningly compelling) glorified karaoke competition. Each week contestants perform songs of a different theme — disco, Mariah Carey, funeral dirges and so forth. In terms of record sales it is the most influential music show in Britain. The Michael Jackson evening was cited as responsible for drastically boosting sales of Jackon’s latest compilation. The US equivalent, American Idol managed to land Jeff Buckley at the top of the iTunes chart after one contestant performed a Buckley-styled version of Leonard Cohen’s ubiquitous Hallelujah. How can this be? How can a televised Open Mic Night inspire such a retail frenzy? And how can there be no room on the schedules for genuine music? If you want to see professional musicians playing live music with some degree of skill and accuracy, you have to stay up late and watch Later with Jools Holland. And that’s shite too. It used to be that people were impressed by displays of talent and skill. During the Great Depression people were uplifted and entertained by Fred Astaire’s dazzling footwork and Groucho Marx’s lightning-fast repartee. Now we have another recession from which to distract ourselves, and our idea of entertainment is to complain in droves about tasteless prank calls — whilst simultaneously demonstrating our own lumbering lapse of taste and judgement by voting for inept dancers, interminably bland singers and bumbling mayoral candidates. Hello and welcome to Only Connect; the quiz that tests not just knowledge but more importantly lateral thinking — That ability to switch lanes suddenly in the middle of a mental journey, without ploughing into a milk float and scattering yoghurt all over the tarmac of logic. FADE IN on a bedroom in an Oxfordshire suburb. Mr. Craig sits at a laptop computer. The rain can be heard outside, as can the cry of the fishmongers. What are you up to there Al? Oh, hi there John. 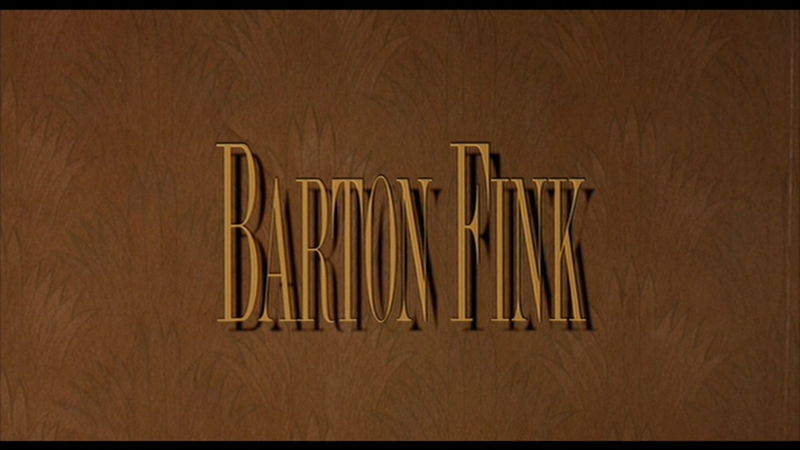 I’m trying to write a review of Barton Fink, but I just can’t get started. I can’t decide if I have too much to say about it, or not enough. Hell, I know how you feel. Reviewing films is damned difficult. Especially that one, even I don’t really know what it’s about and I was in it! Woody Allen’s ensemble comedy-drama Hannah and Her Sisters includes a plot in which Mickey Sachs (Allen) believes he has a brain tumour. After being told by the doctors that he is in fact perfectly healthy, his initial elation is quickly replaced with an unshakeable fear of death. He briefly converts to Catholicism, much to the chagrin of his Jewish parents, but it proves useless because he is unable to believe in a God. 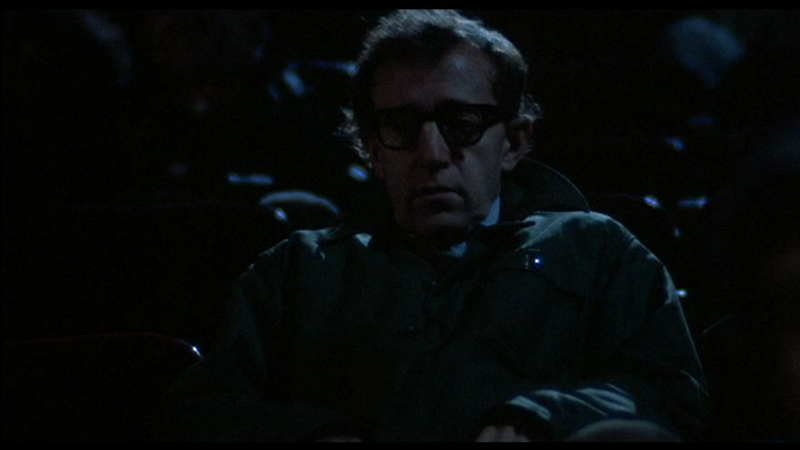 Later in the film, he tells Holly (Diane Wiest) the story of how he regained his joie de vivre. After a failed suicide attempt, he aimlessly wandered the streets, finally reaching a movie house. The film playing was the Marx Brothers classic Duck Soup. And I started to feel, how can you even think of killing yourself? I mean, isn’t it so stupid? I mean look at all the people up there on the screen, y’know, they’re real funny and… What if the worst is true? What if there’s no God, and you only go around once and that’s it? Well, y’know, don’t you want to be part of the experience? You know, what the hell, it’s not all a drag. And it’s true, you know. It’s not all a drag. I hate to be so predictable, but I simply have to write about the new President-elect of the United States of America. Barack Obama’s victory is truly awe-inspiring, even to a non-American like myself. I can’t imagine how good my American friends must feel right now, it must be wonderful to actually be proud of your country! The video of the entire speech can be viewed on the BBC website.